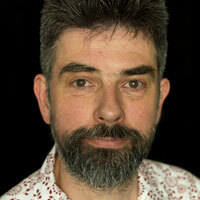 Lyceum artistic director Mark Thomson. World premieres from DC Jackson and Tony Cownie bookend Edinburgh’s Royal Lyceum Theatre’s 2014/15 season. Jackson opens the season with Kill Johnny Glendenning produced with the Glasgow Citizens. Directed by Lyceum artistic director Mark Thomson, it runs from September 17 to October 11. Between them is a season of classic and modern-classic theatre. Lu Kemp directs Sue Glover’s Bondagers and new Lyceum Associate Amanda Gaughan directs Ibsen’s Hedda Gabler. John Dove returns from his success with David Haig’s Pressure to direct Brian Friel’s Faith Healer and Thomson takes on Brecht’s The Caucasian Chalk Circle.